In a cooking class in Lucca, Italy, she meets a nomadic American couple who recommends Spain’s Costa del Sol as the perfect winter retreat. Accepting their advice, she takes an apartment overlooking the Mediterranean Sea in a small town between Marbella and Gibraltar. There she meets and marries an older British-born widower, a permanent resident in that same building. Together they share adventures, spending half the year in their Spanish home and half the year travelling, usually in Europe. Mornings in Estepona, she walks and jogs from their home into the center of town via a promenade along the sea front. Her route takes her past the lively businesses of the port: bars, cafés, clubs, a boatyard, fish market, fisherman’s huts, the lighthouse. The beautiful yachts, sailboats and motor cruisers lie in the harbor, moored and afloat with the tides. 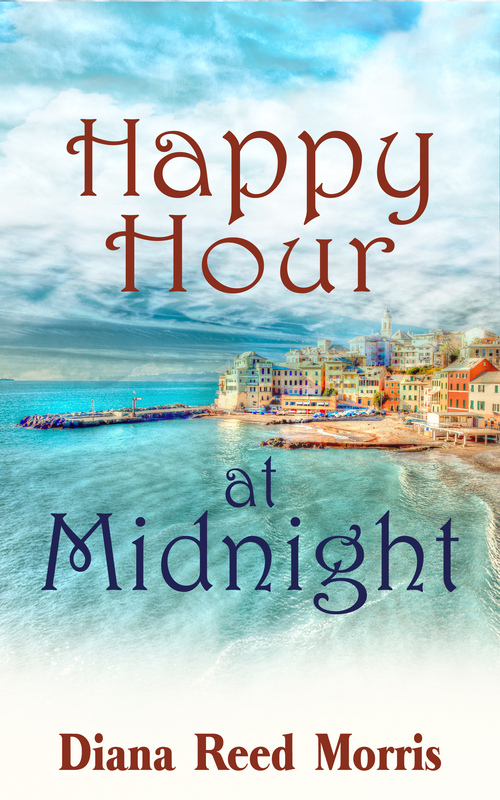 She sees an awning advertising ‘Happy Hour at Midnight’ on a sidewalk outside the entrance to one of the clubs. She recognizes this as the metaphor for her life: retired from a satisfying career, married to a lovely man, living by the turquoise Mediterranean, certainly nearing life’s midnight stage. It is a happy life with happiness that comes from openness to adventure, new people and new experiences. After receiving her MSW (Master of Social Work) degree from Washington University in St Louis, Missouri, Diana Reed Morris provided clinical and administrative social services in physical rehabilitation, psychiatry and geriatrics at three US academic health centers. During her career she enjoyed travel breaks, quilting, antique collecting and genealogy, and after her retirement explored the cities and countryside of Italy, England and Spain. She lives with her husband Jack in Estepona, Spain, where she is currently working on her next book.